Does Your Skincare Routine Protect You From Digital Devices? I’ve recently been more aware of skincare for pollution which is essential for living in a smoggy city like London, but blue light is one thing I’ve never really thought about. Environmental damage can accelerate the signs of ageing in the form of wrinkles, lines and pigmentation so it’s important to protect your skin from these aggressors. 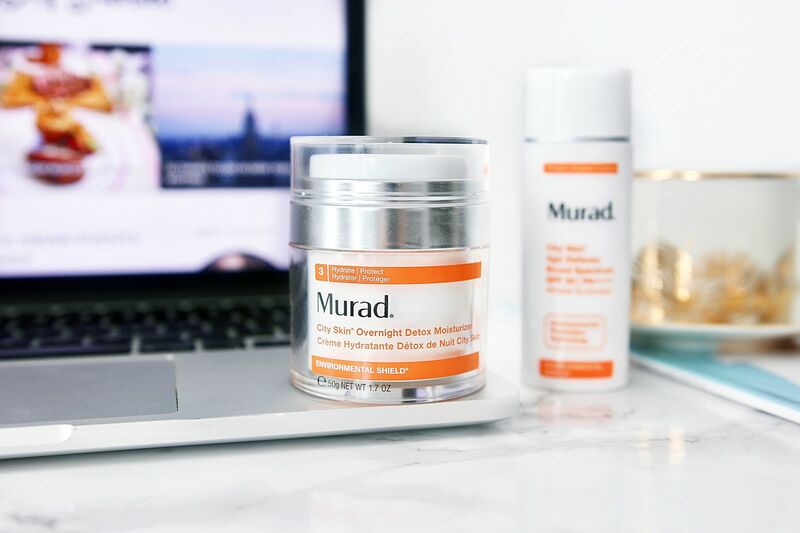 I’ve recently been trying out Murad’s latest launches which look to protect your skin from all five aggressors; blue light, pollution, infrared radiation and UVA/UVB. 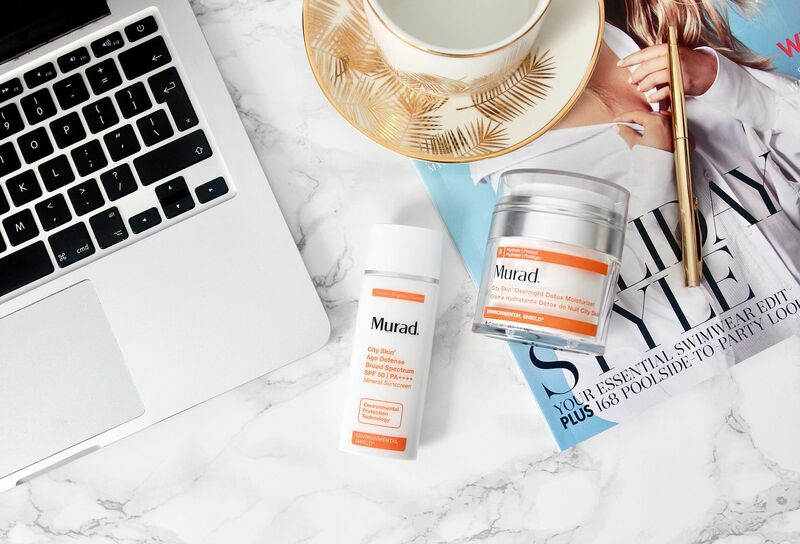 Murad as you may know is one of my favourite skincare brands, when someone asks me what is the best skincare I use, Murad is always the first brand that pops into my head. I also recommend going for the Murad Method Facial as a great way to introduce yourself to the brand and also a good one for first time facialists. Murad Environmental Shield range is definitely one of my favourite ranges and these two new launches from Murad fall under that collection. A specially designed moisturiser for overnight to detoxify and neutralise the pollutants that have accumulated throughout the day. This moisturiser has been a joy to use, I wouldn’t say it was particularly thick like other moisturisers for overnight can be, I do have a dry skin though, but it sunk in very nice and made my face feel plumped and moisturised by morning. I normally use an oil at night, but I have been using this on most evenings and just absolutely love it. The best thing is the benefits it is giving my skin, it has ingredients like sunflower, cucumber and barley to nourish the skin’s moisture barrier, reversing pollution related dehydration and smooth any fine lines and wrinkles. Next Generation Vitamin C helps correct pigmentation and brighten your skin tone. Whilst Marrubium Plant Stem Cells detoxify and neutralise pollutants and toxins to strengthen the skin’s barrier as you sleep. Designed perfectly for those with a busy city life, the City Skin Age Defense has SPF 50 and shields the skin from the five main causes that accelerate ageing. Zinc Oxide and Titanium Dioxide protect against UVA & UVB rays without added chemicals, Iron Oxides protect against infrared radiation and also gives this product a peachy tint to help brighten the skin and boost radiance. Age Defense is designed to also protect from pollution and lastly blue light, which is light from your devices like your mobile phone, tablets and computer. Board-Certified Dermatologist and Founder of Murad Skincare, Dr Murad states that, ‘Visible light from our phones, tablets and computers penetrates skin more deeply than UVA and UVB rays.’ He also goes on to say that excessive blue light can damage the skin barrier making it more prone to signs of ageing. Therefore this product has an ingredient called lutein which protects the skin from blue light by creating a barrier on the skin. I found this really lightweight on the face and would apply it in the morning, then follow-up with my usual make-up products. Being able to protect my skin from damage is a key priority for me and I love how easy this fits into my routine. 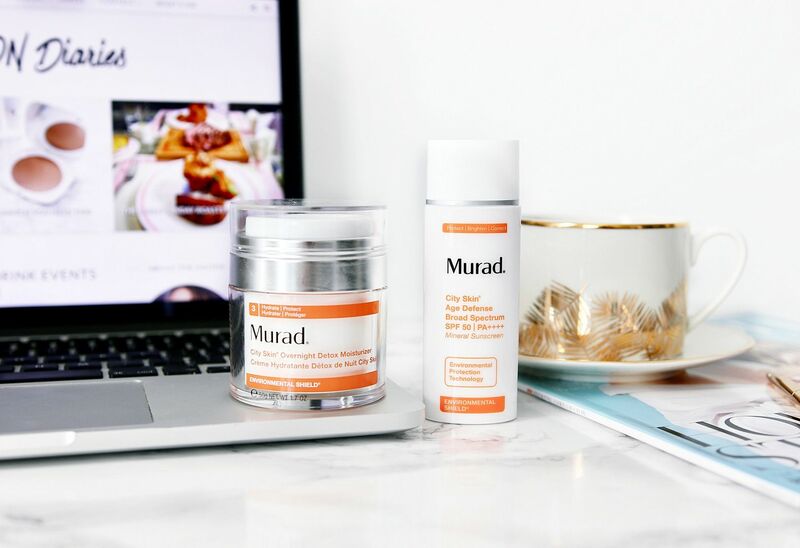 These are two exciting additions to the Murad Environmental Shield range and they have definitely made me more aware of the effects of blue light on my skin. Is protecting from blue light something you have considered in your skincare routine before? All these years I thought staying indoor is good enough protection for your skin. Never taken into consideration the blue light, infrared radiation, and UVA/UVB exposures I am absorbing daily from my devices not until reading this post. Very informative indeed!